Reflections from hanging prints can make viewing them very difficult. 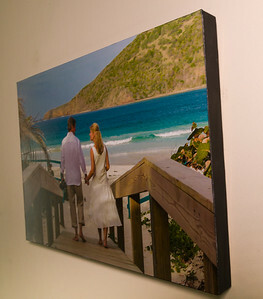 Non-Reflective Framing eliminates the glazing from framed photos, which makes them non-reflective. 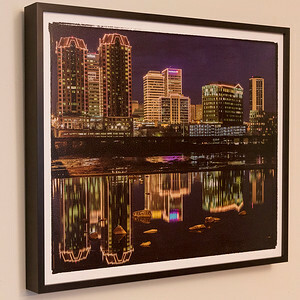 We have developed techniques to produce non-reflective framed prints. We can print and frame any image using this technique. Shown here are prints with and without glass. Note that glass produces reflections. The last two images show our new frame-free reflection-free prints, from the front and the back, which are very low-cost and can be used for Triptychs as well. Use the Contact page to request these services. 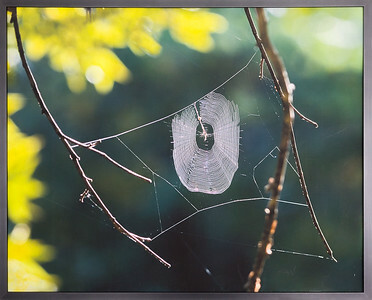 Non-reflective framing of an image printed on luster paper, with an image border, and black frame. 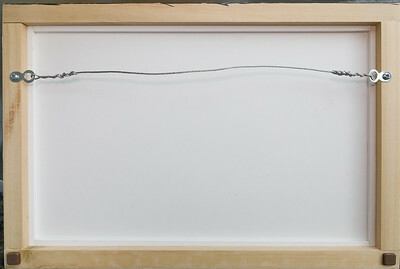 A panoramic image printed on fine art matte paper, and framed using the non-reflective technique. This print was protected using a spray designed to eliminate damage from UV light and air. No glazing was present, and there was a large window opposite the wall. 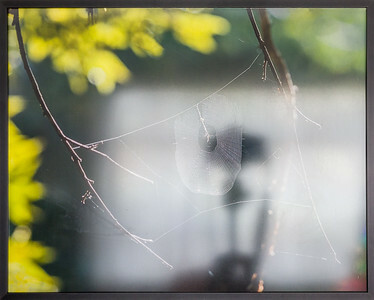 This is the same print as the Spider Web with no glazing, protected from UV light and atmospheric effects by spraying with a protective spray. The print was on a wall with a large window opposite. 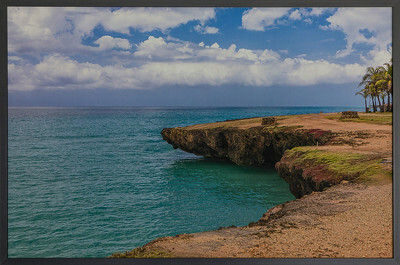 An image taken in Cuba by Al W. Treated to protect from UV light and the atmosphere, and framed without a mat or glazing. A window was opposite the wall on which the frame was photographed. 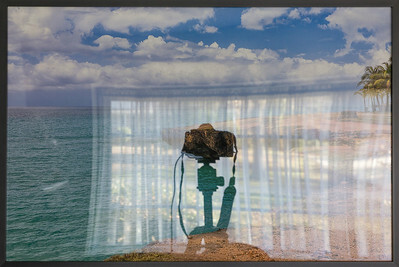 An image taken in Cuba by Al W. Treated to protect from UV light and the atmosphere, and framed with clear acrylic glazing in front of the print. A window was opposite the wall on which the frame was photographed. This print was mounted on a board, backed with more foam board and wood, the sides covered, and sprayed with a preservative, making it frame-less and reflection-free. This figure shows the back of the print, with attached foam and wood edges and hangers.